If you're ready to acquire new customers for your business today, Google Search Marketing is a great place to start. By focusing on users that are ready to purchase your product or service, you'll acquire new customers for your business straight away. With continual analysis of your account and ongoing testing to improve performance, we're able to optimise your search marketing efforts to deliver qualified leads and new customers at a lower cost. Google Search Marketing is a great place to start if you have a limited marketing budget and need to see returns on your marketing spend quickly. If you want to improve your brand awareness and keep your business top of mind for potential customers, this is a great way to do it. With access to over 90% of websites across the Internet, you can get your brand in front of potential customers like never before. By using beautiful image based ads and targeting the right people for your business, you'll be able to increase your brand awareness and at a fraction of the cost of traditional media channels. If one of your business goals is to increase your brand awareness in your local area or even nationally, Google Display marketing can help get you there. Google seamlessly integrates with the worlds biggest online video content provider...Youtube. So if your business has engaging video that you want to share with potential customers, you can't go past video marketing. With advanced targeting to reach the right people at the right time, your videos will help drive brand awareness and give customers the opportunity to learn more about your business. Unlike traditional TV ads, we'll be able to measure and optimise the performance of your video campaigns to maximise your marketing spend and drive results for your business. Wish you could send emails to your target audience without actually having their email address? That's what you get with Gmail Ads! Without having to collect actual email addresses, we're able to target the right people and deliver messages that appear within their Gmail accounts. The user will be able to open the email and learn more about your business and even visit your website. Gmail Ads are a great compliment to any paid search advertising effort. 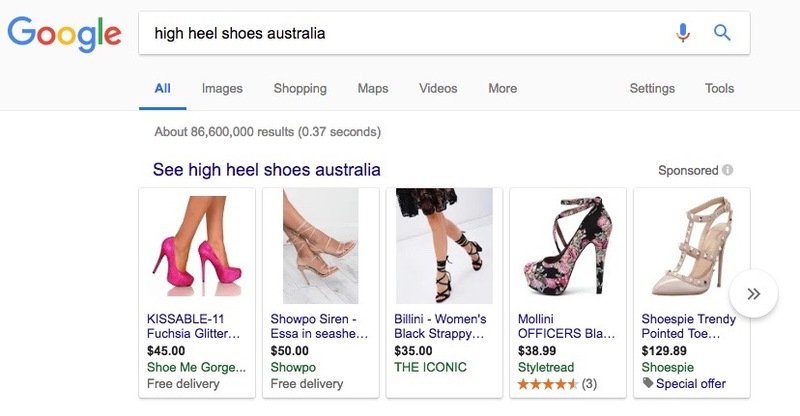 If your business sells products online, Google Shopping Ads will connect you with customers when they're ready to purchase. By connecting your website products to a verified Google account, we'll display your product information to shoppers at exactly the right time. Google Shopping Ads allow your business to reach new customers in new markets quickly and effectively. The majority of customers that visit your website will leave and never come back, it's a sad truth. By tracking visitor behaviour on your website, we're able to track each user and display the right message based on their customer journey. So if somebody visited a product or service page on your website 3 days ago, we're able to show them an ad for your business promoting that specific product or service and prompt them to come back. With the power and accuracy of audience retargeting in your business, you'll leave your competitors in the dust. When you speak to us, you don't get a sales pitch. We speak to you openly about your business and answer any questions you may have.